What you need to know about charges of theft or possession of stolen property. If you are facing charges of theft or possession of stolen property, then you need an experienced criminal defence lawyer. The penalties for a conviction of theft or possession can be severe. You shouldn’t risk trying to deal with them on your own. Never assume that you will be convicted just because you have been charged with theft or possession. Frank Genesee, a criminal defence lawyer serving the Hamilton area, will review your case before you enter a plea and set out your options to help you make informed decisions about your future. Call Frank Genesee today at (289) 426-1644 to get the best possible results! Why you need Frank Genesee on your side. Frank Genesee may be able to mount a successful defence against the charges that you are facing. If a defence is not possible, Frank Genesee will know if you are eligible for a court-approved program that will allow you to avoid a criminal record, such as the Alternative Measures Program. If there are any realistic alternatives to going to court in your case, such as negotiating a plea bargain, Frank Genesee will know how best to pursue those opportunities. Frank Genesee knows what to say and who to approach to get you the best results that you can hope for in your circumstances. The sooner that you call, the more likely that Frank Genesee will be able to help you. Call today! The definition of theft is the intentional taking of property from another person for one’s own benefit. The most commonly laid theft charge is shoplifting, which usually involves the theft of small, easily concealed items from a store. Took an item that belongs to someone else. Intended to take the item for your own benefit, knowing it belonged to someone else. Theft under $5,000 (sometimes this is referred to as petty theft or petit larceny in jurisdictions other than Canada). Theft over $5,000 (sometimes referred to as grand larceny or felony larceny). Obtaining property by false pretenses. The only difference between the crimes of theft under $5,000 and theft over $5,000 is the value of the items stolen. You may receive more severe penalties if you are convicted of theft over $5,000. What is possession of stolen property. This charge can be laid against you if you knowingly receive, possess, conceal or dispose of stolen property. This applies if you know, or should have known, that the property was stolen. You can be accused of possession even if the person who initially stole the property has not been identified or arrested. Use of computer spyware and viruses. Many of the more sophisticated types of identity theft have become more prevalent due to increased use of computers and the Internet for everyday activities such as shopping and banking. If you have been charged with identity theft, or the police want to question you in relation to an investigation, contact Frank Genesee immediately. 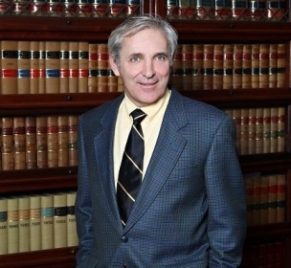 Frank Genesee will analyze your case and tell you whether you have a possible defence against the charges that you face. All criminal charges require proof that the accused intended to act (known as a guilty mind). You may have committed the act of stealing, but if you didn’t have the criminal intent to commit the theft, then you cannot be found guilty. A conviction for theft requires both the act and the intent. You didn’t intend to take the item. You didn’t know the item belonged to someone else. You honestly believed that you had a legal right to take the property. You forgot to pay for an item at a store. Frank Genesee will know the best way to mount a defence to the charges against you. For the best possible outcome to your situation, get Frank Genesee on your side today! What is the Alternative Measures Program? If you believe that you are guilty of the charges, a lawyer can tell you whether you might be eligible to avoid a criminal record by entering a court-approved program. The Alternative Measures Program requires the accused to take responsibility for his or her actions and make up for the theft by completing tasks assigned by a probation officer. Once the tasks are completed, the prosecutor withdraws the charges against the accused. This program might enable you to avoid a criminal record and the associated long-term consequences. Frank Genesee will be able to tell you if participating in this program is your best option. If you are facing charges of theft, identity theft or possession of stolen property, the potential consequences of a conviction are severe. Don’t try to handle the situation alone. Call Frank Genesee today for the best possible outcome.